Daily Debate: Would You Like to See the Kokiri Appear in Another Zelda Game? Of all the tribes in the Zelda series, there is one in particular that I feel should get more recognition that it actually receives and that tribe is the Kokiri. 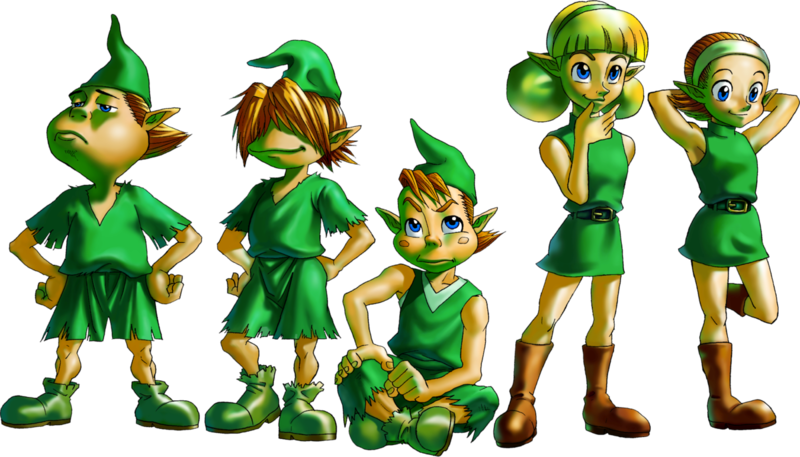 The Kokiri Forest was home to Link in Ocarina of Time and this was the only era that it’s tribe were seen in their human child-like form before evolving into Koroks during the time of The Wind Waker and Breath of the Wild. When Link defeated Ganondorf during the events of Ocarina of Time, the end credits show the children of the Kokiri tribe celebrating outside of the forest which had long kept them safe and secret from the world at large. I think it would be great to see how the Kokiri fared upon the realization that they could leave their home-forest without perishing. What adventures would await them? What new lives might they have chosen with the freedom of Hyrule at their feet? I would love to see the Kokiri in their human form once more before their eventual evolution. Would you like to see the Kokiri appear in another Zelda game? Let us know in the comments below!